Cabo Pulmo National Park in Baja California Sur, Mexico. Here is a photo essay/article I wrote for the Huffington Post. 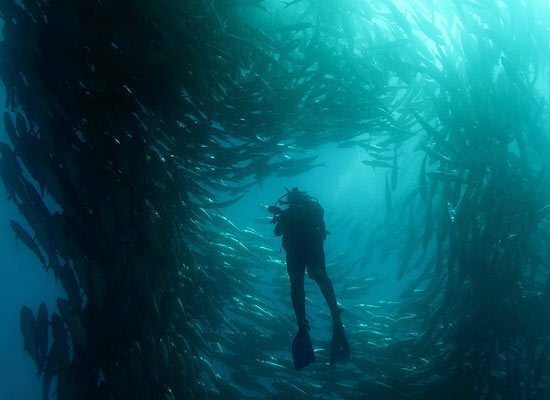 CABO PULMO, Mexico – By the 1990s, decades of overfishing the waters of the Sea of Cortez left the coral reef at Cabo Pulmo, in the East Cape region of the Baja California Peninsula, almost void of life. 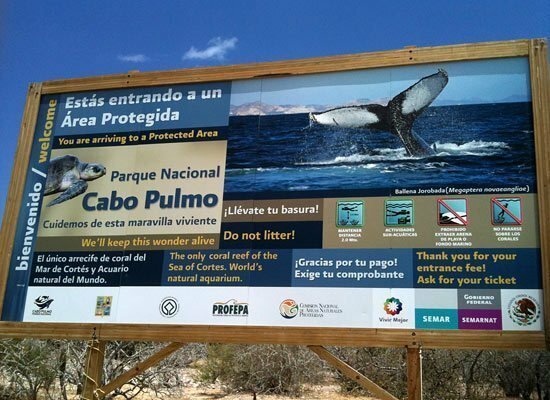 To reverse this process the local community convinced the Mexican federal government to establish a marine protected area at Cabo Pulmo in 1995. Ninety-nine percent of the 17,560 acre Marine Protected Area that was established is ocean. Today the Cabo Pulmo Marine Park is one the most successful examples of marine conservation in Mexico. Fishing was banned inside the park and local residents, along with the Mexican government, helped to bring the reef back from complete destruction. Unfortunately, development pressures along the East Cape now threaten the fragile beauty, abundance, and diversity of the marine species for which it is famous. “Coral reefs are very fragile ecosystems, explains Dr. Octavio Aburto Oropeza, from Scripps Institution of Oceanography and an Associate of the International League of Conservation Photographers. “They are nurseries essential to populating the oceans. 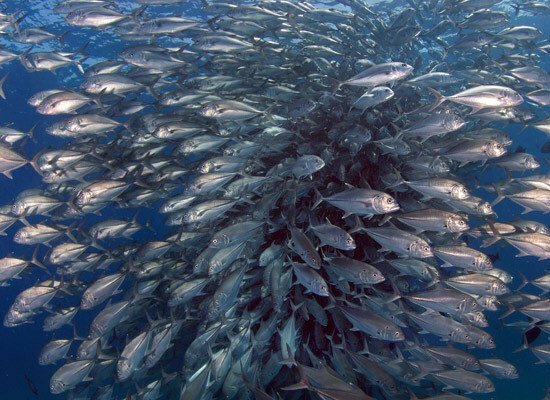 Cabo Pulmo is estimated to be 20,000 years old, and is home to 226 fish species”. A Spanish company, Hansa Urbana, plans to build a tourism mega-development on 9,875 acres adjacent to the marine park. If the development goes through, the sleepy and white sand fringed Cabo Pulmo will be joined by 40,000 new residents in a complex that will include hotels, condominiums, a 490 slip marina, two golf courses, and shopping centers. Mexican environmental authorities had already given the green light to the Spanish company but eight months of legal and media pressures by a coalition of local residents, non-profit organizations, and researchers have made the Secretary of the Environment reconsider the project. It has temporarily revoked Hansa’s building permits pending new evidence on the impacts of the development on the coral reef. The director of the Cabo Pulmo National Park, Javier Alejandro Gonzalez, told the media in an interview that the National Commission on National Protected Areas (CONANP) found that Cabo Cortes’ environmental-impact statement “was vague in several points” and contained figures that “had not been validated”. 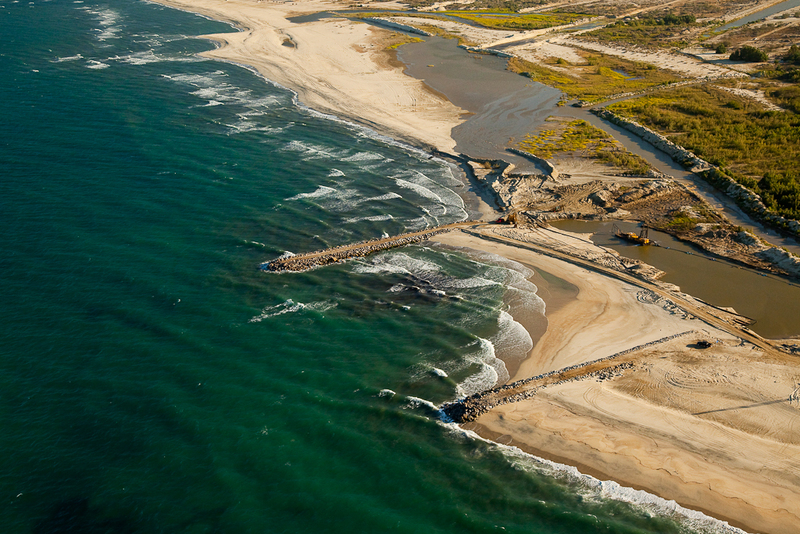 “We have spoken with experts, such as Dr. Octavio Aburto Oropeza, from Scripps Institute of Oceanography, Dr Ezequiel Escurra, and others, and they all warn of dire consequences if the resort project is not cancelled’, says Fay Crevoshay, communications director of WiLDCOAST, and part of the coalition called “Cabo Pulmo Vivo!”, that is trying to raise public awareness about the threats to the reef. 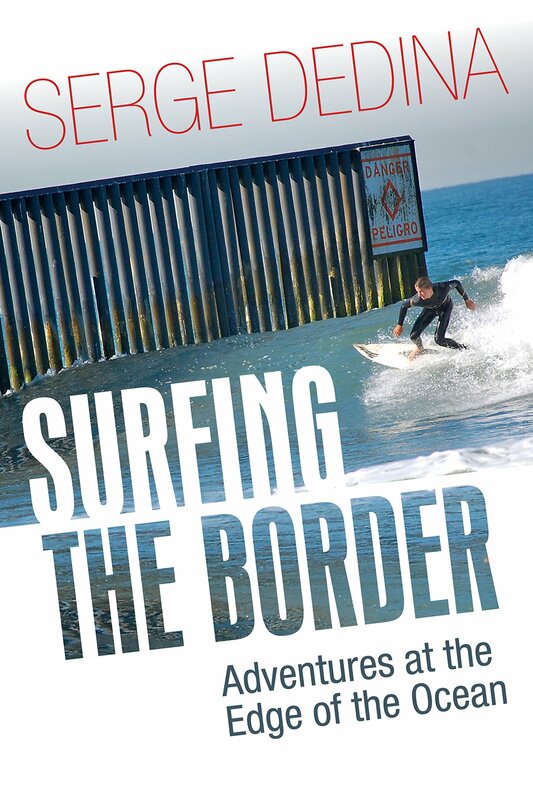 “Following 15 years of protection the Cabo Pulmo coral reef has recovered from overfishing, becoming the marine area with the highest concentration of fish in the Sea of Cortez,” said Serge Dedina, Executive Director of WiLDCOAST and author of the forthcoming Wild Sea: Eco-Wars and Surf Stories from the Coast of the Californias.